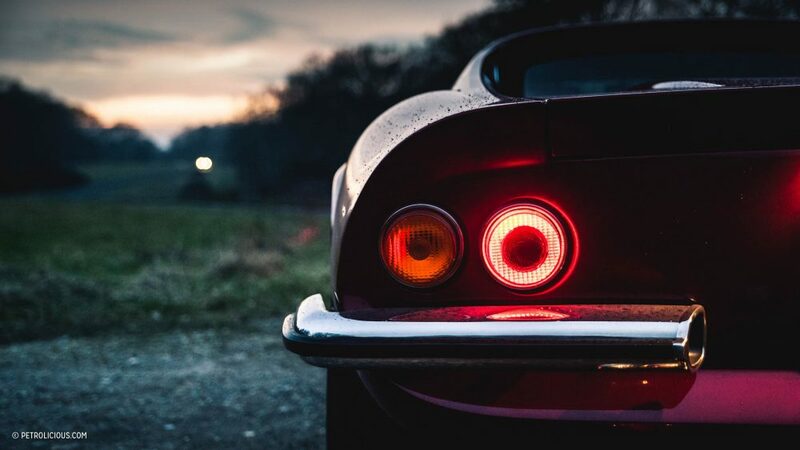 The Dino name has always had an interesting place among Ferrari purists, but as the car has aged, it is evident that any stigma it once wore has worn away. 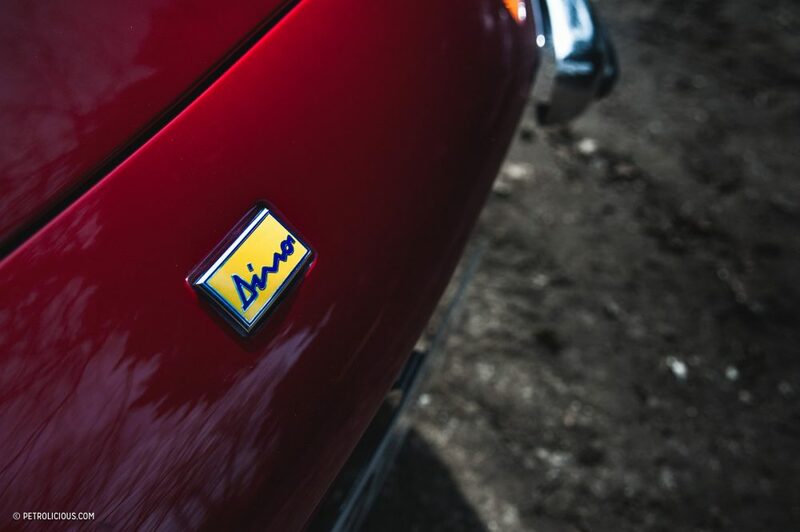 Today, market values for the Dino are often dictated by how well they have been restored and how true to the original they are. This point is clearly something that does not faze Kevin O’Rourke, owner of Surrey-based Ferrari restoration experts Mototechnique, and owner of the one of a kind Dino 246 GTS that sat quietly in front of me. Kevin tells me he has spent an entire career as what he calls a ‘copyist’, concerned only with reproducing originality into classic cars. 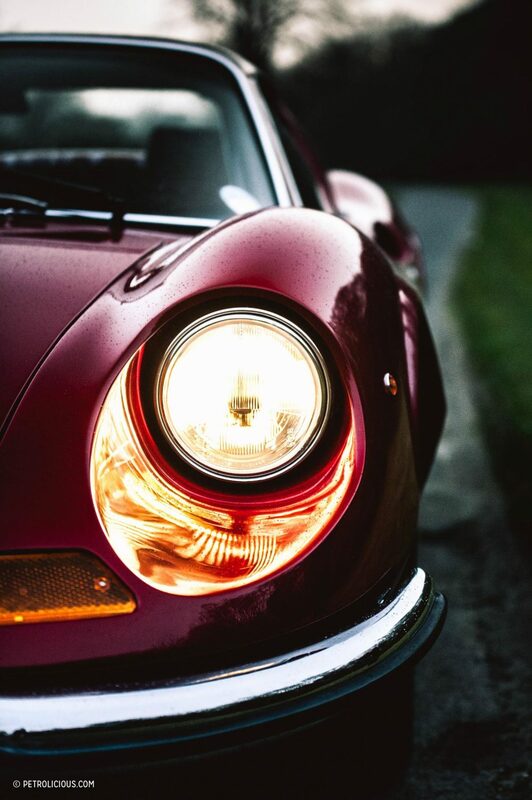 Working on his own car allowed a refreshing opportunity to create a unique, bold and creative interpretation of the Dino, one that is undoubtedly a personal treasure of his—and rightfully so. 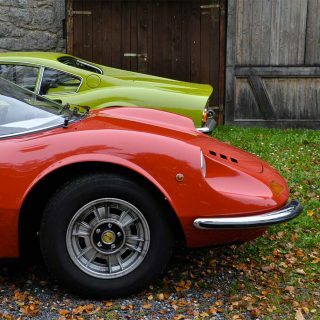 At first glance, this particular Dino is clearly not fussed with winning the local concours. 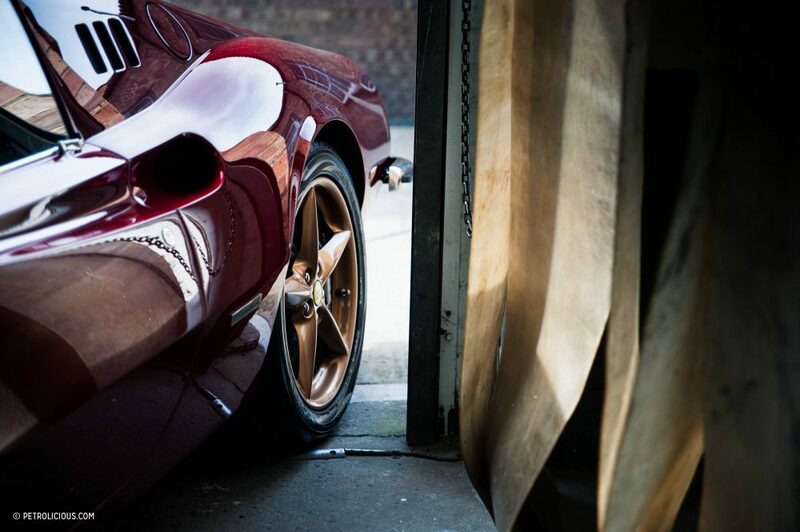 With a deep candy red that Kevin produced himself, large 18”wheels in rose gold with matching brakes from an F360, this car is anything but traditional. 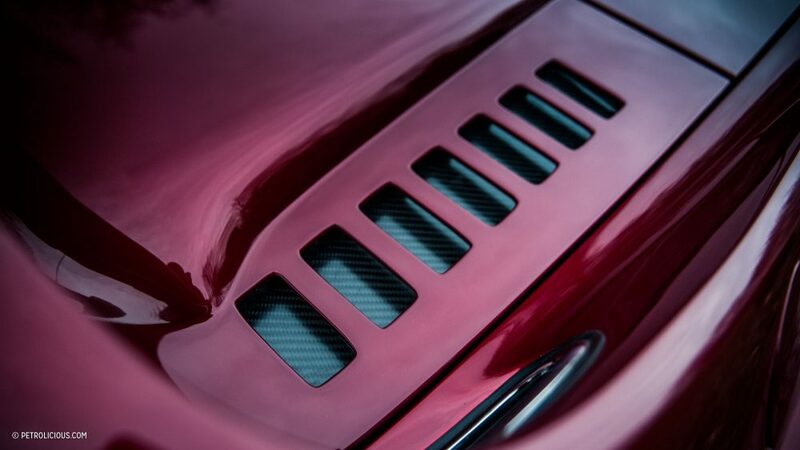 Rounding over to the engine cover, Kevin pointed out a detail that was purely functional and he was particularly fond of: a tiny bulge in the cover subtly hinted at what lay below, standing out from an otherwise straight line that had been originally penned by Pininfarina. As we lifted the lid, unveiling the heart, I couldn’t help saying “wow” out loud. 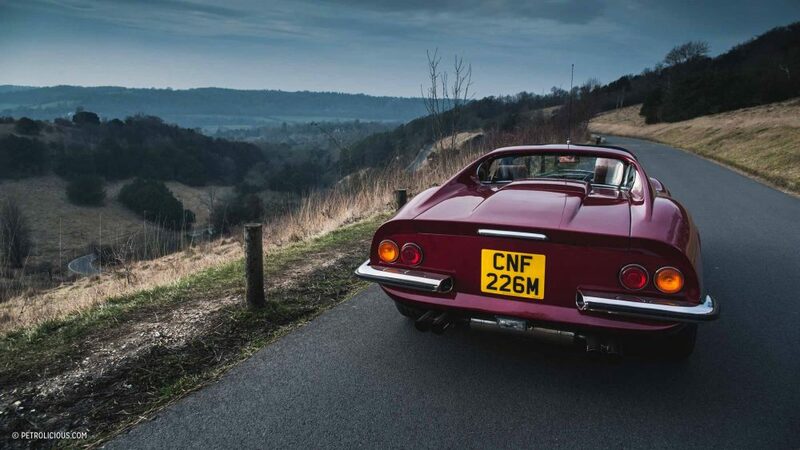 Sitting transversely in place of the Dino’s standard 2.4-litre V6 was a Ferrari 3.2-litre V8, an instant cure to the power issue of the standard engine that many Dino enthusiasts have traditionally “learned to accept”. 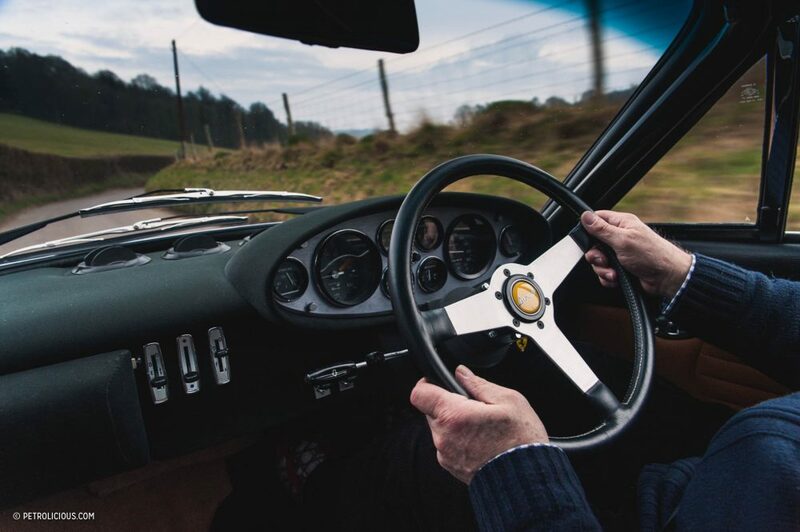 The engine had been inherited from the Dino’s younger sibling, a 328, along with its transmission to bring the potential of the Dino to more modern times. Meanwhile, induction duties are taken care of by throttle bodies courtesy of a 355 and DTA ECU, with cool induction air flowing in through a stunning, custom-made carbon fibre air box that was captivating to look at. On road, Kevin took it easy, letting the engine come up to temperature. Shifting at normal revs, the V8 was easily heard making its sounds behind my head, but I was thankful for the extensive sound deadening that had been installed to keep it reasonable. Kevin recounted his initial shakedown trip after the car’s completion to Austria without it: it had been very loud. Coincidentally, it was then that we reached a nice stretch of road and I experienced the 300 horsepower V8 at full song, which was nothing short of glorious. 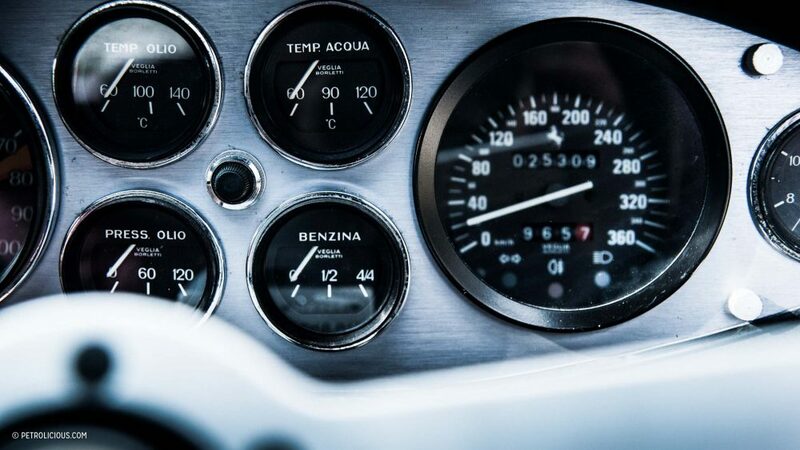 As the revs built up, the slight burble crescendoed into a smooth note that held—just before a slick smooth gear change when it started all over again. 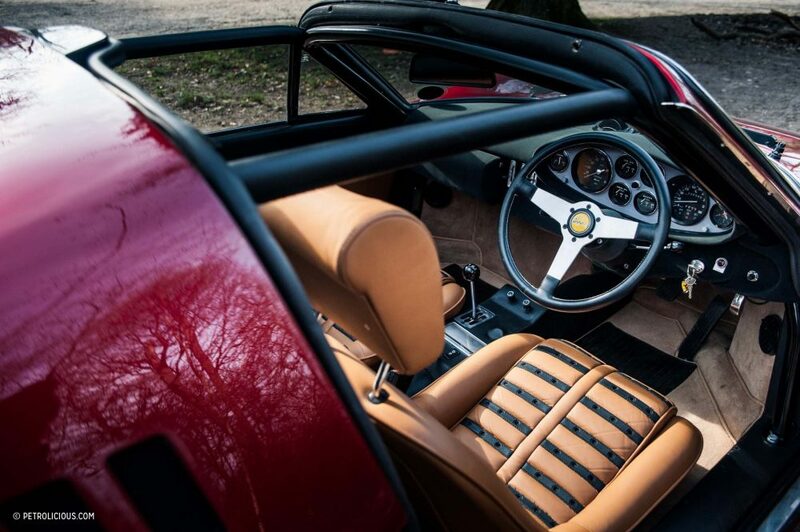 When we made our stop for photos, the spyder roof came off, allowing the sun to flood the interior with light. Once an overlooked part in car design, Kevin wanted something that was comfortable and modern since it would be the place he spent the most time. There was nobody better to send the car to be reupholstered than his son, Rob O’Rourke of O’Rourke Coachtrimmers, and the result speaks for itself. 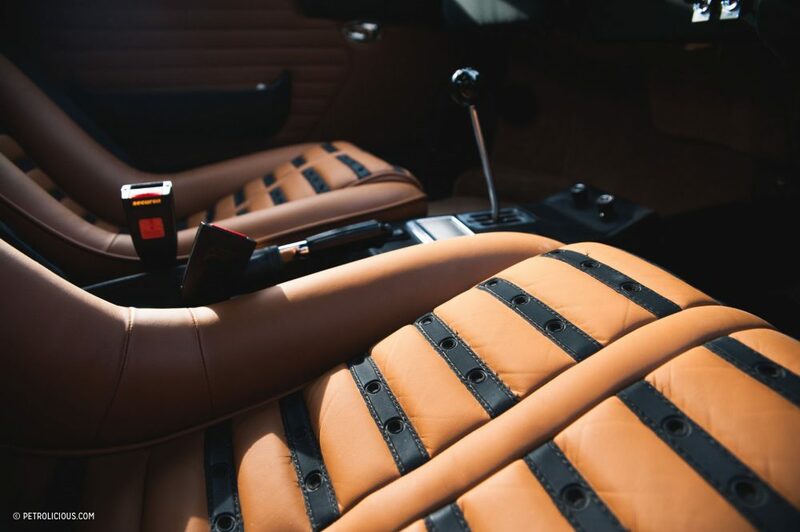 The attention to detail in the stitching and fitment of every part makes it is very possible that the interior is far more resolved than it had ever been before. Additionally, a fully engaged roll cage is bolted to the chassis to solve any torsional rigidity issues. Impressively, I noticed that the dashboard had been modified to wrap around the frame, creating a more integrated aesthetic. 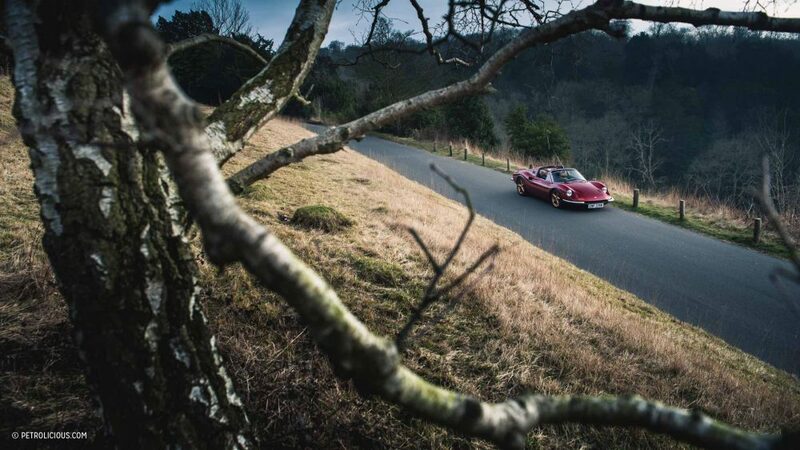 As we headed back towards the workshop in the comfort of a modern classic, I asked about the future plans for the car; stiffer anti roll bars, better spec tyres and electric power steering were next on the list, to create an even more balanced package. 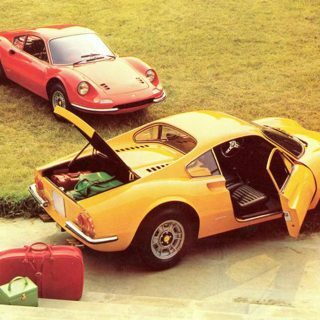 Despite these changes, Kevin noted that all the original Dino parts had been kept in order to restore the car back to its original condition if ever needed. With 11 years of his spare time going into the build so far, Kevin’s journey to create his perfect Dino that blends the best of the past with the comforts of today will continue. 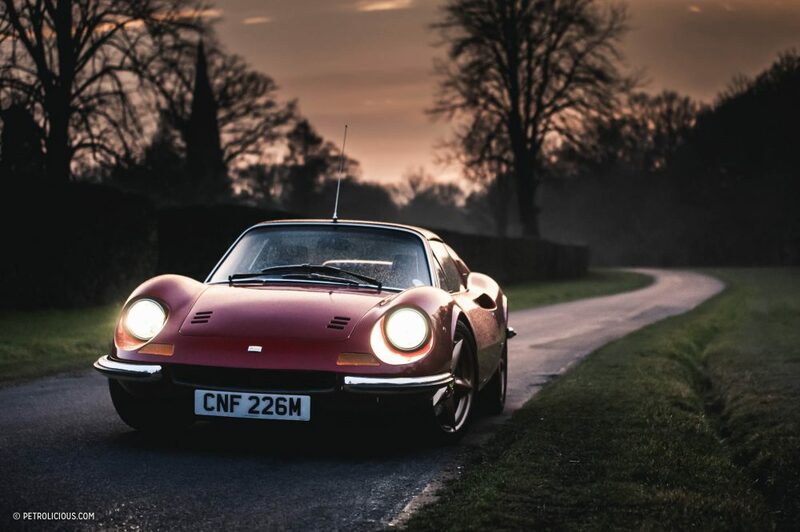 Although some connoisseurs of the classic car world may shake their heads disapprovingly at the thought of this car, they would be wrong in thinking that the spirit of the Dino has been lost. 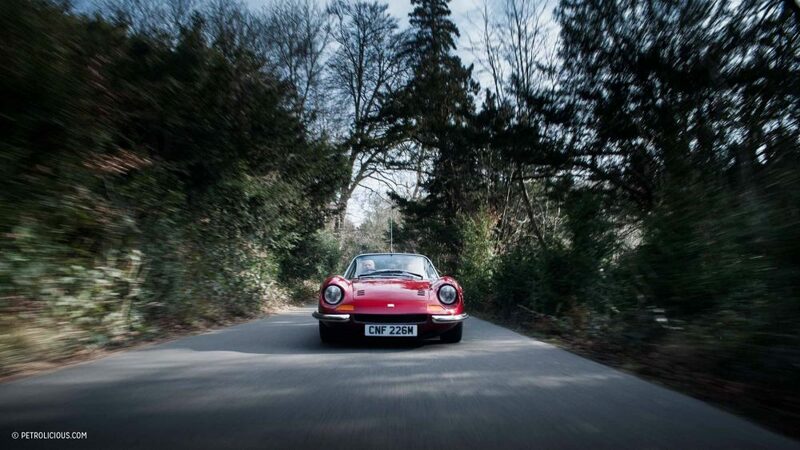 Kevin’s Dino more than retains the importance of the driving experience that it was originally built upon—the only difference is that now it’s been refined to become one man’s perfect car. Hi Telaio (Kev)..Getting good visibility..!! Good luck with the 25..Dougie…!!! Please post pictures with the repro Campy wheels. Such wheels, and with headlight covers to finish, would make this completely perfect. 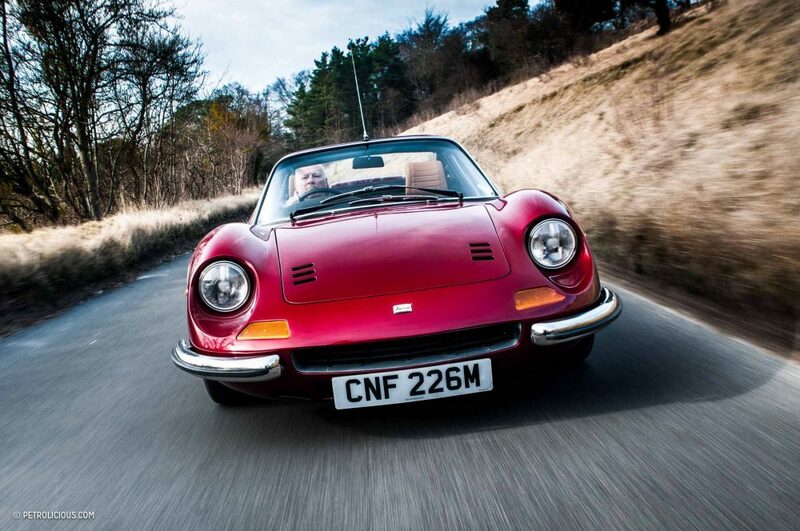 The nose looks different to me (different than my ’74 246 GTS) because 1. it has European bumpers which do not wrap around and into the nose opening 2. the sides of the nose opening are slightly squared off compared to my rounded sides. Also, I don’t mid the size of these wheels but the color combination with the paint job looks tacky. Black or silver would look better and my fave wheels on this car are the Campagnolos that come with the chairs and flares package. 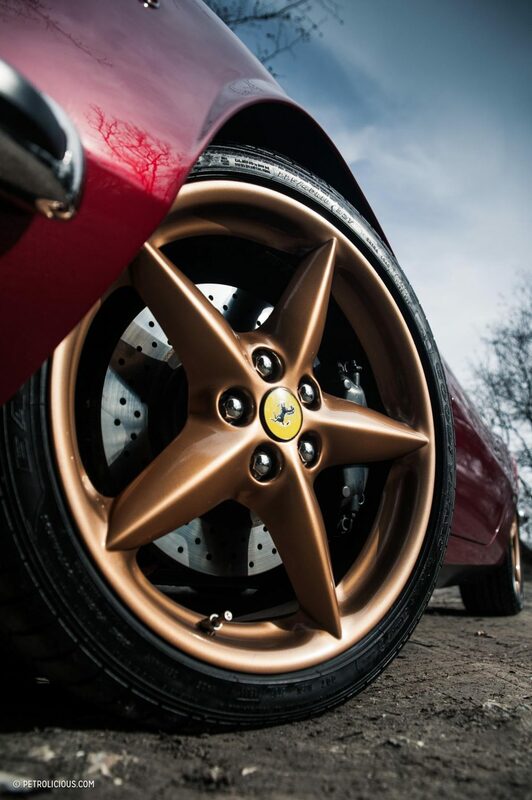 Hi Rockdad, many thanks for you comments, please know that we have just re-scaled and cast the more stylish Campagnollo wheels in 17 inch rim size ( colour yet to be decided ;-} as for the cherry red and gold colour scheme ………. I took the inspiration from my 1st Italian motorcycle a Ducati which I bought way back in 1967, it changed my life !!!!!! This is what Petrolicous means by “drive tastefully” ? And to post it twice? Outrageous. Though do protest too easily Sir, wait till you see : Son of 328 Dino !!!! Hi Valor 007, originally the car was left hand drive and we swapped her over, I still have all the old original parts stored securely so no worries ……….. as for a 355 engined version, it sounds great but I fear there would be issues installing her due to lining up the drive shafts without sacrificing cabin space. It’s just a different type of hot rod, that’s all. No different to the gasser Mercedes. I have nothing against the concept but I’m with others, the wheels argh. Looks like a Donk. If as suggested a replica of the original wheels were made in a larger size I’m sure it would minimize the visual impact. I find the color quite stunning. And what’s with the antenna? Is that some kind of retro feature? It ruins the beautiful lines of the Dino. It’s certainly not the only Dino with an aerial in that position so I assume it was an option when new. 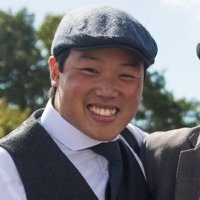 As an aside I was speaking with a mutual friend of Kevin (the owner) and mine last night. It seems the car was rebuilt from a total wreck which considering the values of Dinos at the time of the rebuild (before the recent rocketing of prices) would otherwise have ended up being broken for spares. Sorry. Doesn’t do it for me. Leave the Dino as it should have been. Do the whole thing again on a Kit car. ok Nick, will do ………… do you mind chipping in with some funds ????? Nope it doesn’t work for me. I guess I’m a purist. 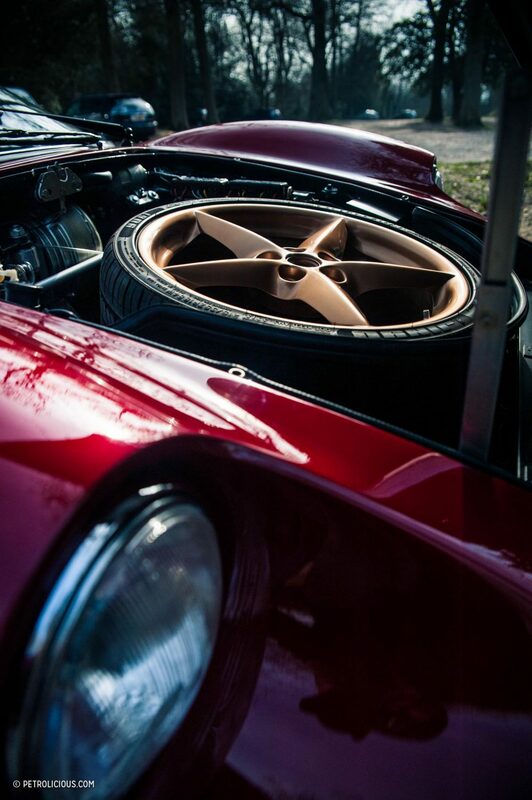 Ditch the ugly wheels, loose the roll cage and go more for original look. You killed what was once a stunning car. The saving grace is the photographer who has made it look great but I can see deeper that photo shopped pictures. Please don’t do this to any more Ferraris. that the same for me Michael. 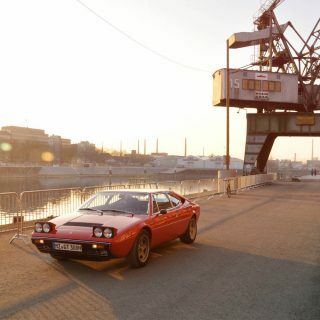 the only thing i can accept on a Ferrari is the 308 group IV look for a 308 gtb or the 348 gtc wheels on a 348. 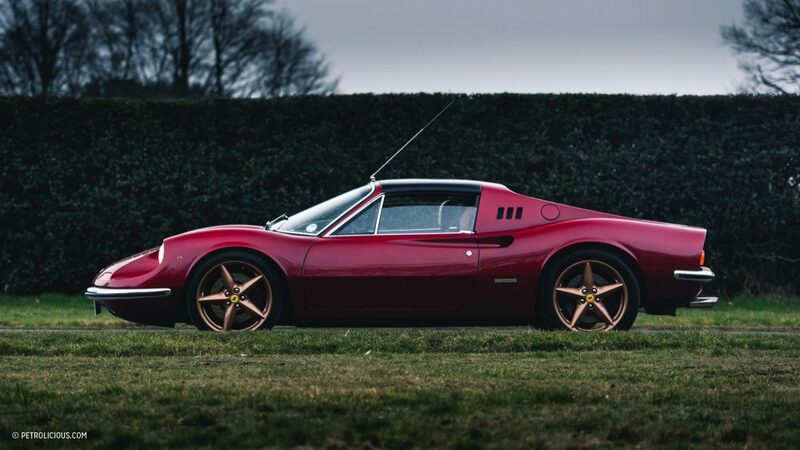 But put 348 wheel on a mondial t because they had the same engine, put 360 wheel on a 308 because it’s dificult to find TRX tyres, no way for me… I like the original car in their original looks!!! 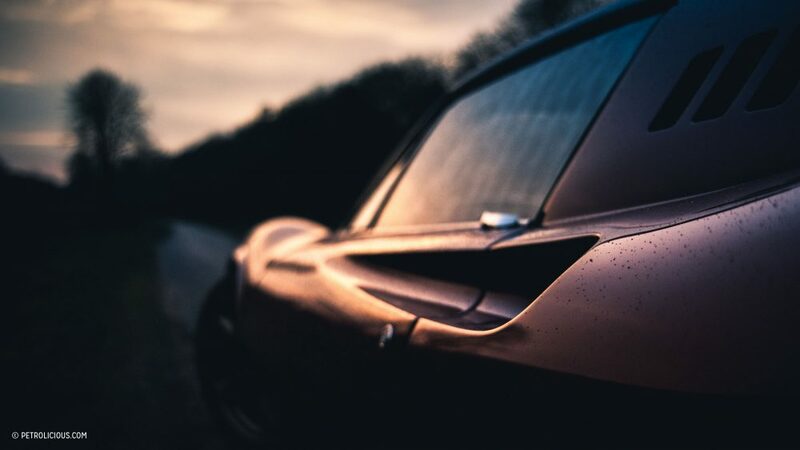 It always kills me that after a whole article beautifully describes a unique car as being an attempt at perfection by one individual and, for one individual that, so many people feel that they have to say what they would do different! To all those folks, I say ‘go for it! Build your own interpretation. To this gentleman I say ‘bravo’. Just a beautiful piece of work! You are a Man of immaculate taste and conviction Sir, 10 / 10. As to the controversy over the the wheels .. Nahhhh .. I think these fit the proportions of the car to a tee . In fact I’ll be so bold as to say as a former 246 owner that the larger wheels fit the car’s overall design better than the originals did . The only thing I might of done different if this this been were would be to of had the larger wheels made in more of the style of the original available Campagnolo or Cromodora wheels . But in all honesty …. these are just fine ! Love everything about it except the wheels. IMHO it would look better with 16″, or possibly 17″, wheels and slightly higher profile tires, but then again, it’s not my car so if the owner is happy, wonderful. Love the photos, love the colour and love the concept. Do not love the modern wheels, at least on this application. It’d have been nice to see a take on the original Cromodoras instead – perhaps an inch or two bigger than standard and wrapped in modern tyres, but keeping the spirit of the original design. did the dino silhouette just become my favorite ferrari silhouette? i think so, and i don’t know how i feel about it. 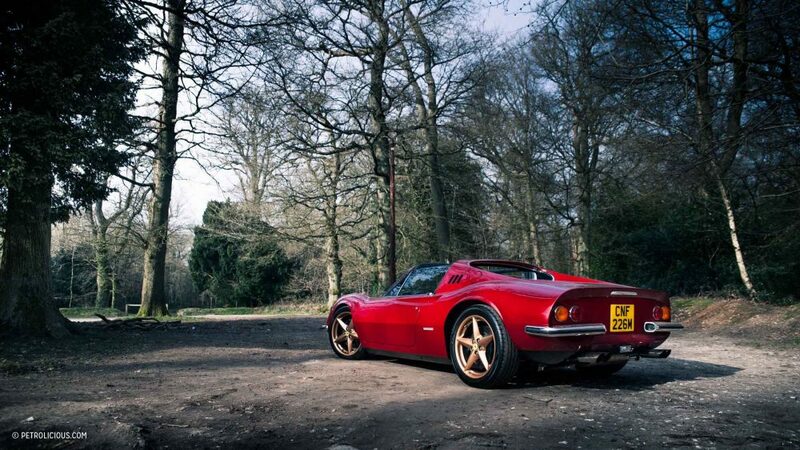 I like it although the optional modular 18″ rims from the Ferrari 550 might give a more classical look? 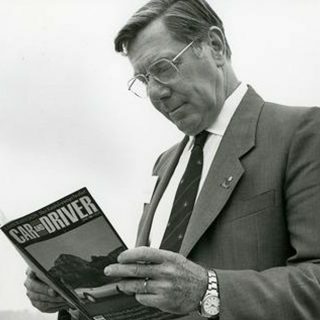 Hopefully the paint will look as good as mine does in 30 years time – Kev painted my car in 1985. Where were the photos taken I guess quite near me if shot in Surrey? I understand the wheels are (almost) necessary for the size of the brakes, but 18″ on this car is an overkill that makes me recall the American classics from the same era with 20″ chrome wheels. It needs fatter tyres. And I don’t like much the colour either, to be honest. Although I think that these photos have probably passed an heavy processing treatment and the real colour isn’t really so deep. I like to think so, at least. Hi Luce, please know that in order to get the best trade off in symmetry / strength and style we have developed 17 inch Campags which will wear taller tyres. Love everything about this. The wheels hint at something more modern, one of the few indicators, set off the body colour well. Putting a V8 in as Ferrari are testing a new V6 Dino mule, how timely. Love the idea of updating these classic cars to perform better. Excellent photos and story. 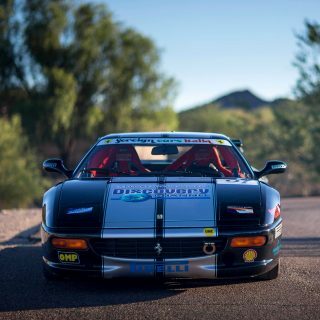 That Dino test mule you mention is in fact the California Dino minus its V8 with an asthmatic turbo in its place .. which is to say … its a Dino in name only . 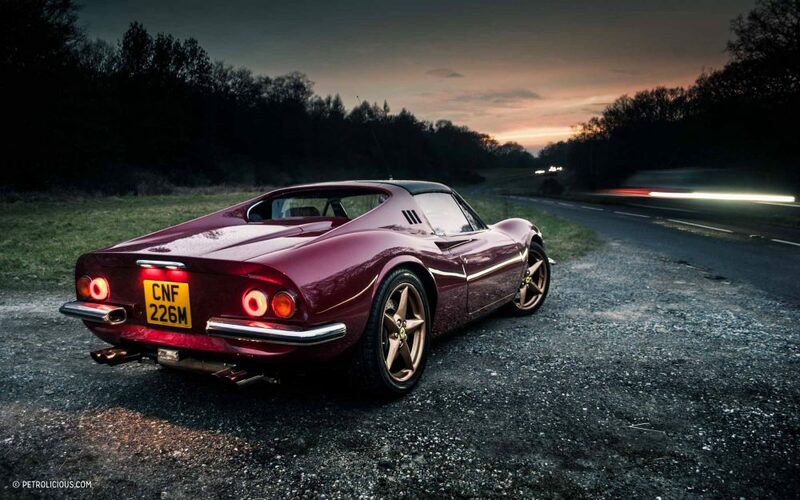 Wow, what great pictures of a wonderful car. I really admire Kevin’s fabrication abilities that allow him to make reality out of desire.